Teams of Moscow are winners of both Men’s and Women’s Teams Events at the Russia’s National Championships started yesterday in Verkhnaya Pyshma. Both teams defended their titles. 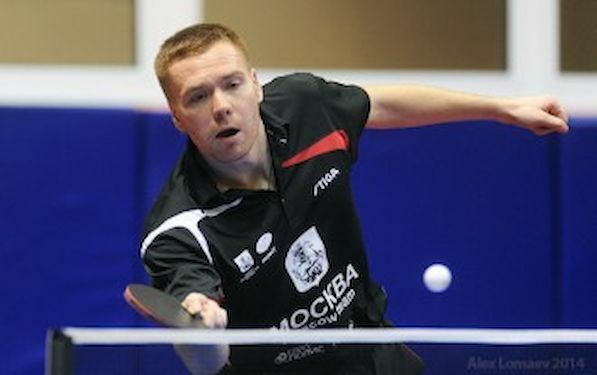 In Men’s Team played Alexey LIVENTSOV, Vasily LAKEEV, Viacheslav KRIVOSHEEV, Evgeny PETRUKHIN, Igor RUBTSOV. Coach is Valery SHEVTCHENKO. Women’s Team: Olga BARANOVA, Yulia PROKHOROVA, Valentina SABITOVA, Anna BLAZHKO, Anna ROSSIKHINA. Coach is Yulia SHEVTSOVA. The competition continued with Individual Events.